On October 28, Brazil became the latest country to elect a fire brand, nationalist right-winger, brash on rhetoric and skimpy on policy. The election of Jair Bolsonaro as President of Brazil seems only less jarring because it has become par for the course for global democracy. Yet, while much of the international attention has focused on his incendiary comments about women and minorities and apologetic attitude towards torture and the country’s military dictatorship, financial markets reacted positively to his ascendance, with the Brazilian real appreciating almost 10 percent over the electoral month of October. So what’s the big idea? The markets’ infatuation with Bolsonaro can be condensed to one name: Paolo Guedes. The Chicago-trained economist and financial market player will take on the role of economic czar in the new administration. His liberal-market credentials are impeccable, and he’s not shy about his desire to cut the size of government, lower taxes and ease regulatory burdens on the private sector. While Bolsonaro and his team promise a fresh economic policy in Brazil, the country’s challenges remain the same as they have been, in some cases, for decades. Most pressingly, the fiscal deficit is close to 8 percent of GDP and government debt is approaching 80 percent. Besides that, the economy is barely growing, and unemployment still stands at 12 percent. The markets may not be overly patient with the new president. Crucial reforms are needed – fast. Pension reform is the number one priority. Without it, there can be no credible fiscal adjustment. The quickest and easiest solution would be to pass the limited yet still significant reform that was nearly approved in 2017. At the moment, it remains in congress and could even be passed before Bolsonaro takes the oath of office on January 1st. But a nagging problem remains: the reform is deeply unpopular and members of the president-elect’s inner circle have referred to it as “very bad” and as “porcine manure”. The team continues to send mixed signals on their intention to push the existing reform. In the campaign, they floated only vague ideas regarding a capitalized pension system. Moving in such a direction would mean a drawn-out process with uncertain outcome. And ultimately, any alternative reform that provides significant fiscal savings won’t be popular either, but will take valuable time to develop, market, and pass. Similarly, on taxes, the new government has the opportunity to push for an ambitious reform that would phase out a hodgepodge of state and federal consumption taxes and replace them with a single, modern value added tax (VAT). This could do a lot to cut though Brazil’s notoriously complex tax bureaucracy and unlock private sector productivity and growth. However, the Bolsonaro team appears to prefer an alternative, unorthodox transaction tax, which is not only untested at such a large a scale but would also introduce new economic distortions. Finally, Guedes has suggested eliminating the primary fiscal deficit (before interest) by 2019, representing a fiscal adjustment of close to two percent of GDP. He has not explained how this is to be executed. Budget cuts will not get him there as just about anything that could be legally cut has already been cut in recent years. One-off revenues from privatizations could fill the gap for a short while, but privatizations in Brazil are legally complex and controversial. Mr. Bolsonaro has already announced that he does not intend to privatize the most valuable public companies, especially the national petroleum producer Petrobras. When push comes to shove, political slogans are cheap. Market-friendly ideas are one thing, concrete policy proposals quite another and turning them into legislature is an altogether different beast. 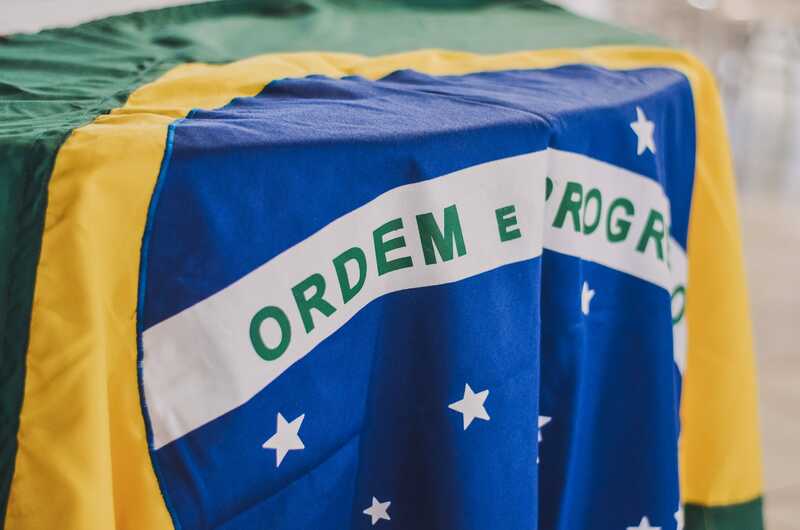 Beyond the apparent disagreements of Bolsonaro’s inner circle, finding majorities in the legislature could also become an issue. The president elect’s party and their right-wing allies hold at best a fifth of the seats in the highly fragmented congress. Other, more centrist parties are traditionally eager to join the government, but only in exchange for plum ministry appointments and other public-sector patronage for members of their constituencies. Candidate Bolsonaro loudly rejected this form of give-and-take politics in his campaign and pledged to cut the number of federal ministries from 30 to 15 while appointing fellow military men or non-partisan experts. How he intends to govern effectively without pork to feed to allies remains a mystery. Bossa nova legend Tom Jobim once warned foreigners that “Brazil is not for beginners”. In recent days, another cynical saying has taken hold in Brazil: “The election is over – let the post electoral deception begin”. Maybe financial markets will yet have to learn that lesson. If you liked reading this post you may also enjoy taking a look at our Globalization Report 2018.